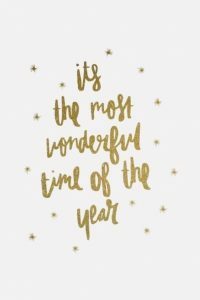 We all know that December comes along with late nights, boozy lunches, lots of bubbles and too many mince pies. No one wants to be a Scrooge or a party pooper so here are a few top tips to get you through and help you actually enjoy Silly Season a bit more! A full stomach, particularly with healthy fats is the way to go prior to night out. Fats will help slow down the rate at which food leaves the stomach, and the longer the food stays there, the slower the rate the alcohol will be absorbed into your blood. In turn, reducing the need for late night post alcohol snacks and nasty next day hangovers. Help yourself out by drinking water both before you go out and whilst you are out. One of the mainreasons why that first glass of wine goes down SO well is because we’re often dehydrated. Drinking water alongside booze can also help you drink slower and in turn a little less than you might usually. Keeping hydrated also no only helps prevent nasty hangovers but has been known to improve your dancing skills too! Whilst it may feel like the last thing you want to do during the cold and dark days you will feel SO much better if you are keeping on top of your exercise regime. Indulgence is pretty much a given during the festive season but how much nicer it feels knowing you have worked out before you do. We would suggest getting your training in first thing before the day’s temptations take over. Get that session done and be smug for the rest of the day! Getting outside with activities to get the whole family involved is a great way to stay active over the holidays. It also makes you feel much less guilty when you are snuggled on the sofa infront of the fire eating Quality Streets later! Think of activities that everyone can do – such as a bike ride, a country walk, a ball game or even a snow ball fight! All of which are great calorie burners but also fun, social family activities. Getting some fresh air is also a great way to blow away the cobwebs from last nights drinks party! When the diary is filling with social events, it is important to plan nights where you can relax and have a decent night sleep. Blocking off just one or two evenings a week during the party season to get a decent night’s sleep can be enough to keep you on track. Hope these help and HAVE FUN!